Please join us for the central region launch of, The Forbidden Dreams of Betsy Elliott by Carolyn R. Parsons, on Friday, March 8, from 7:00 pm - 9 :00 pm at Citadel House ( 104 Main Street ) in Lewisporte. The book will be available for purchase. The author will be doing a reading and will be available to sign copies. There will be light refreshments. For more information, please contact Carolyn R. Parsons at 709 571 3470 or carolynrparsons@gmail.com or Flanker Press at 709-739-4477 ext. 24 (toll-free at 1-866-739-4420 - ext. 24 ). 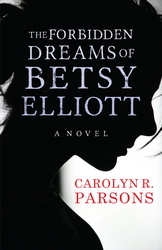 Please join us as we celebrate the official launch of, The Forbidden Dreams of Betsy Elliott by Carolyn R. Parsons, on Wednesday, February 27, at 7:00 pm at Chapters in St. John's The book will be available for purchase. The author will read at the beginning of the event and will be available to sign copies. There will be light refreshments. For more information, please contact Flanker Press at 709-739-4477 ext. 24 (toll-free at 1-866-739-4420 - ext. 24 ). The "Twelve Books of Christmas" is coming back! The “Twelve Books of Christmas” is coming back! To help you with your Christmas shopping, Flanker Press will highlight one book per day on our Facebook page and Twitter feed beginning on Monday morning, December 10, 2018 and running for twelve days. These are books, we think, that make a good Christmas present, either for someone else or for you! To participate in the giveaway, “Like” the Flanker Press page on Facebook or “Follow” Flanker Press on Twitter and keep track of the books we list. On the twelfth day ( Friday, December 21 ), email us with a list of the twelve books in the order in which they were featured (for example: Book 1 – Book Title by Author’s Name). 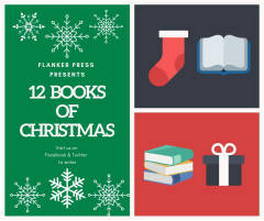 Submit your list, along with your name and mailing address, to info@flankerpress.com with “The Twelve Books of Christmas Giveaway” in the subject line. Entries must be received by 4:00 pm NST on Friday, December 21, 2018. One winning entry will be randomly drawn from all correct entries received. The prize? A gift pack that includes one copy of each of the twelve books featured in the giveaway! 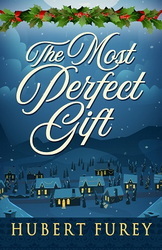 Please join us as we celebrate the official launch of The Most Perfect Gift on Friday, October 26, at 7:00 pm at the Elks Lodge in St. John's (19 Carpasian Rd, St. John's, NL). The book will be available for purchase. 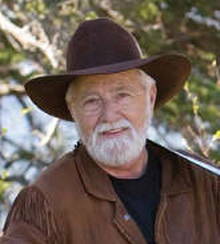 The author will read at the beginning of the event and be available to sign copies. There will be light refreshments. For more information, please contact Flanker Press at 709-739-4477 ext. 24 (toll-free at 1-866-739-4420 - ext. 24 ). The Most Perfect Gift From the Bestselling Author of As the Old Folks Would Say. In Newfoundland and Labrador, Christmas is a special time of year. It is a time to gather around a festive table with family, to visit and enjoy the company of old friends who haven’t been seen in a long time, to enjoy the aura of peace and goodwill which emanates from brightly coloured lights and decorations which are everywhere to be seen, to laugh and sing as if yesterday never happened. 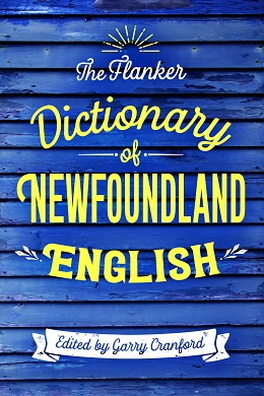 Please join us as we celebrate the official launch of The Flanker Dictionary of Newfoundland English on Wednesday, October 3, at 7:00 pm at Chapters (70 Kenmount Road, St. John’s). The book will be available for purchase. The author will also be available to sign copies and there will be light refreshments. For more information, please contact Flanker Press at 709-739-4477 ext. 24 (toll-free at 1-866-739-4420) ext. 24. 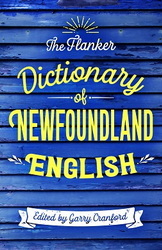 The Flanker Dictionary of Newfoundland English A book for those who come from away and for us livyers. This work brings together words from indigenous cultures and words spoken and recorded in English from the time of the European discovery of the New Founde Lande in 1497. The dominant European language became English, imported from the West Country of England and enriched by settlers from Scotland, Wales, Ireland, the Channel Islands, and France. Because settlements were separated from the Mother Country and from each other, in its written and spoken forms the language became a time capsule of unique expressions drawn from everyday life. Please join us for the official launch of The Murder of Minnie Callan by Tom Gruchy on Wednesday, September 26, at 7:00 pm at Chapters (70 Kenmount Road, St. John’s).The book will be available for purchase. 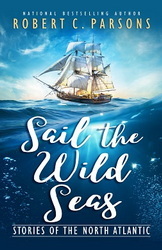 The author will also be available to sign copies and there will be light refreshments.For more information, please contact Flanker Press at 709-739-4477 ext. 24 (toll-free at 1-866-739-4420) ext. 24.The Murder of Minnie CallanThe Murder of Minnie Callan is the dramatic memoir of retired Royal Canadian Mounted Police Officer Thomas Gruchy. 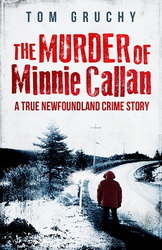 It tells the story of a criminal investigation that changed the lives of many, including the author, forever.Sixty-year-old Minnie Callan, wife, mother, and grandmother, was an innocent bystander when an attempted crime was aborted nearby in her hometown of Norman’s Cove, Newfoundland and Labrador, on March 13, 1986. The intended victim escaped unharmed, but sadly, Minnie Callan lost her life during the encounter. When Thomas Gruchy, one of nine RCMP officers stationed at the nearby Whitbourne Detachment, received the call, he had no idea how shocking a discovery he would find in the sleepy town of Norman’s Cove, nor how much of a toll the investigation would take on him and his fellow police officers. 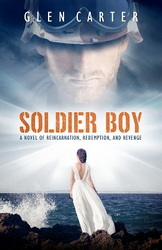 Please join us as we celebrate the official launch of Soldier Boy by Glen Carter on Wednesday, September 19, at 7:30 pm at Chapters (70 Kenmount Road, St. John’s).The book will be available for purchase. The author will be reading from the book and will also be available to sign copies. There will be light refreshments.For more information, please contact Flanker Press at 709-739-4477 ext. 24 (toll-free at 1-866-739-4420) ext. 24.Soldier BoyLightning splits a savage night, and in the arms of a priest, a mysterious woman dies while giving birth. The infant survives and as a boy is haunted by visions of soldiers and war and blood-soaked betrayal. As a man, even with his strange talent for beating the slots, he chooses to dwell among the legions of mole people beneath the Las Vegas Strip. A bizarre confrontation sets him on a journey to discover who he once was and what was robbed from him. Please join us as we celebrate the official launch of Joseph Kearney and the Hunt for Rommel by Frank Galgay and Donna Kearney Adams on Wednesday, October 10, at 7:00 pm at Chapters (70 Kenmount Road, St. John’s).The book will be available for purchase. 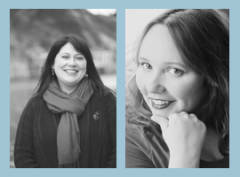 The authors will also be available to sign copies and there will be light refreshments.For more information, please contact Flanker Press at 709-739-4477 ext. 24 (toll-free at 1-866-739-4420) ext. 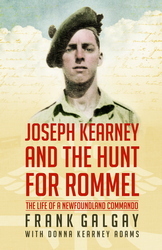 24.Joseph Kearney and the Hunt for RommelThis is the fascinating story of a young Newfoundlander’s journey to hunt the infamous General Erwin Rommel, the “Desert Fox,” at his headquarters in the Libyan Desert in North Africa. Included are excerpts from numerous letters to his parents back home, which give great insight into his life as a soldier and prisoner of war. 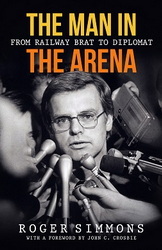 Please join us as we celebrate the official launch of The Man in the Arena by Roger Simmons on Wednesday, September 12, at 7:00 pm at Chapters (70 Kenmount Road, St. John’s).The book will be available for purchase. The author will be reading from the book and will also be available to sign copies. There will be light refreshments.For more information, please contact Flanker Press at 709-739-4477 ext. 24 (toll-free at 1-866-739-4420) ext. 24.The Man In the ArenaThe Honourable Roger Simmons, PC, is a public policy consultant in Canada. Born at sea, on the Atlantic Ocean near Lewisporte, Newfoundland and Labrador, he spent his childhood years in the bustling railway town of Bishop’s Falls. His early career as an educator and clergyman took him to coastal towns in his beloved rural Newfoundland. As a politician, provincially and federally, he was the voice of the island’s south coast for twenty-five years. 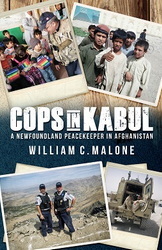 Please join us as we celebrate the official launch of Cops in Kabul by William C. Malone on Wednesday, August 22, at 7:00 pm at Chapters (70 Kenmount Road, St. John’s).The book will be available for purchase and the author will also be available to sign copies. There will be light refreshments.For more information, please contact Flanker Press at 709-739-4477 ext. 24 (toll-free at 1-866-739-4420) ext. 24.Cops in KabulCops in Kabul is the thrilling personal account of retired RCMP Superintendent William C. Malone, who was the deputy Canadian police commander in Kabul, Afghanistan, from May 2011 to May 2012. His serious and at times hilarious story of working with military personnel, diplomats, and civil society organizations highlights the challenges of trying to bring about security and the rule of law in a theatre of war. Please join us as we celebrate the official launch of Operation Wormwood by Helen C. Escott on Wednesday, August 15, at 7:00 pm at Chapters (70 Kenmount Road, St. John’s).The book will be available for purchase and the author will be doing a reading at the beginning of the event. Helen will also be available to sign copies. There will be light refreshments.For more information, please contact Flanker Press at 709-739-4477 ext. 24 (toll-free at 1-866-739-4420) ext. 24.Operation WormwoodAn elderly man is carried into the emergency department of the Health Sciences Centre in St. John’s, the first of many victims suffering from symptoms that leave doctors mystified. Dr. Luke Gillespie and Nurse Agatha Catania investigate their symptoms but are unable to diagnose them.Dr. Gillespie and Sgt. Nicholas Myra, an investigator with the Royal Newfoundland Constabulary, join forces to solve this twisted mystery. But the story takes a critical turn when Sister Pius, a nun from Mercy Convent, informs them about Wormwood: a disease she believes is created by God to kill perpetrators of the most heinous crimes.Is God truly punishing these criminals or is a serial killer targeting them?Helen C. Escott is the author of the widely read humour blog-turned-book: I am Funny Like That. 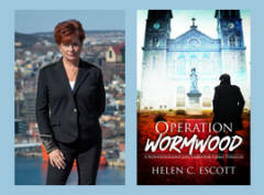 In her first crime novel, Operation Wormwood, she taps into her darker side and takes readers on a thrill ride through the historic city of St. John’s. Please join us as we celebrate the official launch of Growing Up Next to The Mental on Wednesday, June 13, at 7:00 pm at Chapters (70 Kenmount Road, St. John’s).The book will be available for purchase and the author will be available to sign copies. There will be light refreshments.This is Brian's first book with Flanker Press. Here is a brief background:We called it the Mental and thought nothing of it. No more than eeny, meeny, miney, mo and who we were supposed to catch by the toe.An unfortunate moniker, but one legitimately derived from the original name of the place—the Hospital for Mental and Nervous Diseases—when it opened in 1854. Not until 1972 would it be renamed after the river that runs by it. But in Mooney’s world, which revolved mostly in and around the asylum’s drab, depressing confines in the mid-1970s, it was colloquially the Mental, just as its largely despondent inhabitants were the mental patients.For more information, please contact Flanker Press at 709-739-4477 ext. 24 (toll-free at 1-866-739-4420) ext. 24. 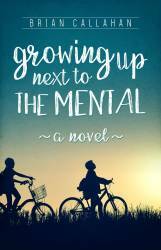 Keith is a young boy living on the picturesque island of Fogo, Newfoundland. Over one special summer, he gets to know an old family friend who is in Fogo as an artist-in-residence. This friendship teaches Keith to look at his home with new eyes.Fogo: My Favourite Corner of the Earth will be officially launched with the following events:Tuesday, May 29, 6:30 pm - 7:45 pm - Fogo Island Public Library - Book signing and reading with Dawn Baker. 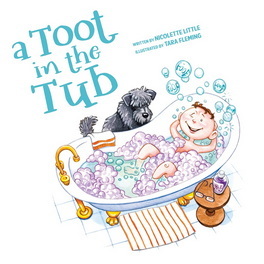 Everyone is welcome to attend!Wednesday, May 30, - Dawn will be reading to the elementary students at Fogo Island Central Academy and signing copies of the book.Cluster Weekend of Book Signings in St. John's will be as follows:Friday, June 82:00 pm - 4:00 pm - Costco5:00 pm - 7:00 pm - Coles, Avalon MallSaturday, June 910:00 am - 12:00 noon - Costco1:00 pm - 2:30 pm - Chapters3:00 pm - 4:30 pm - Coles, Village Shopping CentreDawn Baker has now sold over 100,000 copies of her books! Fogo: My Favoutrite Corner of the Earth will delight children and adults the same with this sweet story and colourful illustrations, as they learn about Fogo and the artists that visit. Dawn has included a glossary to help readers learn more about Fogo, including words and phrases that are used in this book.For further information, please call Flanker Press at (709) 739-4477 ext # 22 ( 1-866-739-4420 ) or visit the Flanker Press website at www.flankerpress.com/the-latest/events. 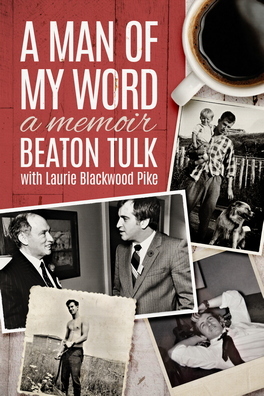 Readers are in for a rare treat with this memoir of Beaton Tulk, the seventh premier of Newfoundland and Labrador. A Man of My Word is a bare-all autobiography full of charm, humour, and personal tragedy. 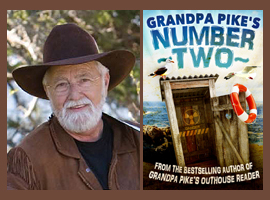 It is co-written by Laurie Blackwood Pike, the bestselling author of Grandpa Pike's Outhouse Reader.Wednesday, May 16, 20187:00 pm - 9:00 pmChapters, St. John'sSeating available and light refreshments will be provided. The book will be available for purchase and the author will be signing copies.For more information, please contact Flanker Press at 709-739-4477 ext. 22 (1-866-739-4420) or www.flankerpress.com. Congratulations to the winner of the 1st Annual Flanker Press Family Literacy Day Giveaway! Since 1999, Family Literacy Day has been a national event, created by ABC Life Literacy Canada to raise awareness of literacy, reading and engaging in such activities with our families. This year it was held on Saturday, January 27th.In celebration of this event, Flanker Press held our 1st annual Flanker Press Family Literacy Day Giveaway. 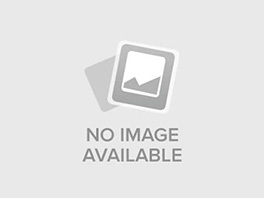 The contest consisted of a giveaway package of 9 books to one lucky person in Canada. All entries had to do was "like" our post and tell us which book they were most excited to read with their family members.The 9 titles in the giveaway package were:The Puffin Patrol by Dawn BakerColouring the Rock with Jackie by Jackie AlcockHaunted Ground by Dale JarvisThe Bologna Cookbook by Kevin PhillipsWilful Desire by Victoria BarbourThe Trawlermen by Clarence VautierThe Last Beothuk by Gary CollinsI Remain, Your Loving Son by Frances Ennis and Bob WakehamAs the Old Folks Would Say by Hubert FureyA random draw was held on Friday, January 26th at 3:00 pm at the Flanker Press office in Paradise and the lucky winner was Melinda Chatman Glover of Gambo, Newfoundland.Congratulations Melinda!Thank you to everyone who entered our giveaway. Like and follow our Facebook Page for more exciting promotions!